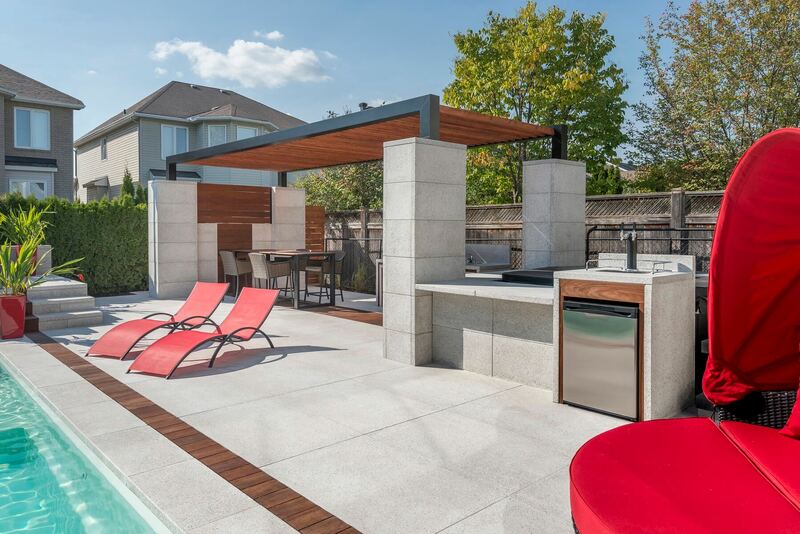 An outdoor kitchen / dining area is an ideal way to take advantage of beautiful summer weather. Gone are the days of one simple BBQ at the corner of your patio. We’ve evolved! Today, we aim to recreate an entire kitchen in our backyards, sophisticated equipment included! We want our outdoor kitchen to be practical, spacious, easy to maintain and pleasing to the eye. In order to achieve this, it is important to assess several issues: where to place it, how it will be used and which elements you would like to integrate. Here is our guide to designing your perfect outdoor kitchen which will allow you full enjoyment of backyard living in good company. The location can be chosen based on how the sun faces your outdoor kitchen. Do you wish to use this space in the morning, at lunchtime or later in the evening? It is important to question whether you would prefer to enjoy your meals in the sunlight or under the shade; on the grass, or on a paved patio. Furthermore, it is important to think about travel time. 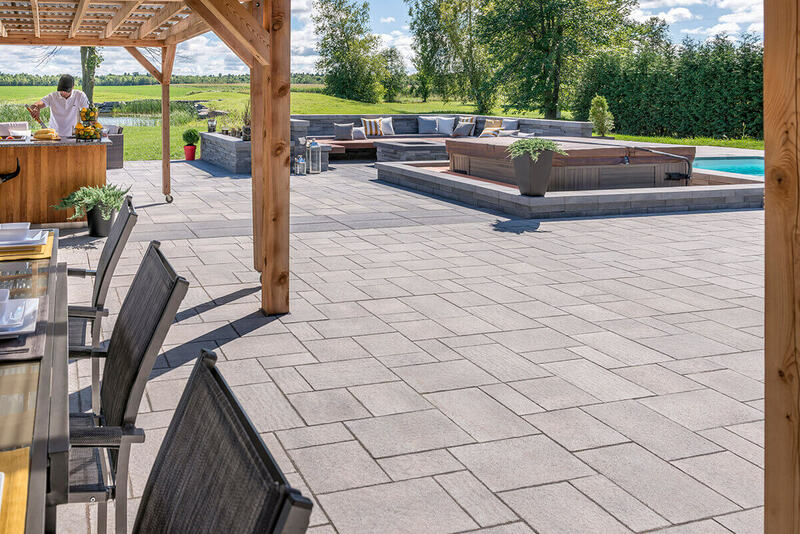 In order to avoid constant and unnecessary trips inside, you should choose to locate your outdoor kitchen/dining area in a convenient space, with easy access to your house and amenities. A patio heater, as well as panel systems, which serve as barriers against wind are great assets, allowing you to take advantage of your outdoor kitchen during cooler evenings. For optimal comfort, consider shading the area with a parasol or a fixed roof because although we want to enjoy the heat, it is important to be protected from the sun. Especially during the noon hour, where the sun is at its strongest. Remember also, as evening falls, that insects tend to swarm (and there is nothing more annoying!). There are of course, solutions to this problem; Installing a pergola equipped with netting or an awning system will rid your area of any unwanted mosquitoes and flies. Another essential feature is cabinetry. Incorporate cabinetry with doors and sinks to create storage space for dishes and other kitchenware. Don’t forget to devote a discrete location for the trash. 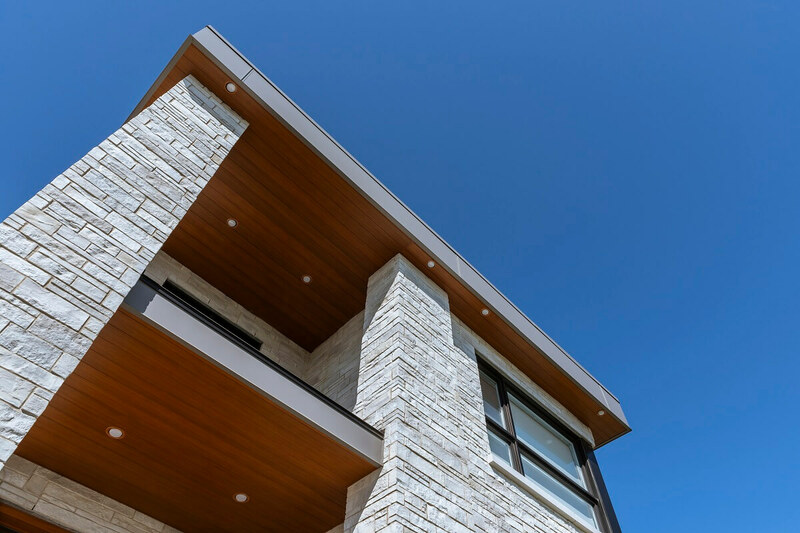 Cover the cabinetry with resistible outdoor materials like Rinox wall stones, or Rinox thin veneer stone. Doing so will make the space both functional and appealing. 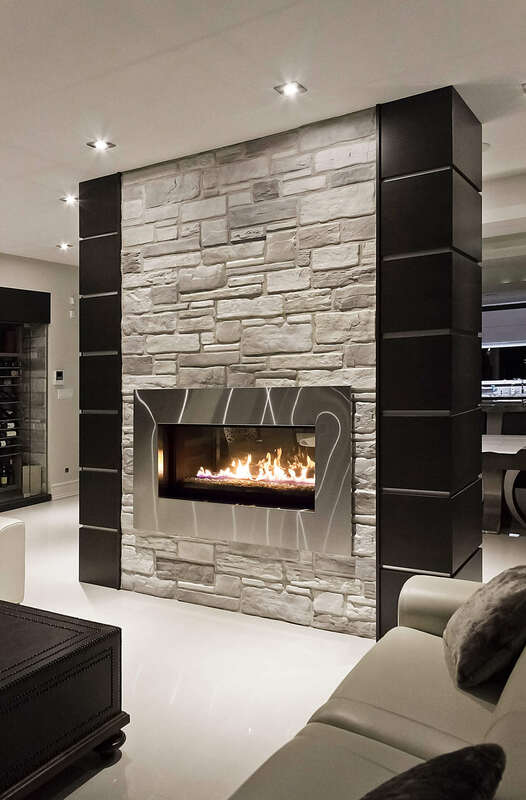 Additionally, electricity is necessary if you wish to incorporate appliances and light fixtures. You must also consider water connections for the sink. List your priorities. Start by identifying your needs based on how you wish to use your seasonal outdoor kitchen /dining area. Do you wish to share this space intimately as a couple or do you plan on regularly receiving family and friends over for meals? Will you be cooking meals outdoor every day, only on weekends or simply for events? 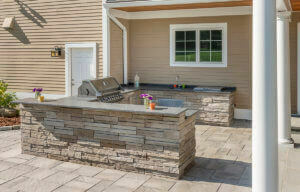 The summer outdoor kitchen / dining area must compliment your outdoor environment. Many aesthetically pleasing and durable products usually used indoors can now also be used outdoors. Define the ambiance of your dining space based on your tastes. Modern, zen, rustic, country… the possibilities are endless. Choose furniture that is both resistant and practical. Measure your space to ensure there is sufficient room to circulate freely. Reinforce the party environment by dressing your table with fashionable dinnerware, charming lamps, table centerpieces, table cloths and more… Do not hesitate to use accessories to animate your landscaping and dazzle your guests. 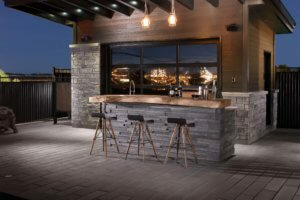 Landscape your outdoor kitchen /dining area with Rinox products. 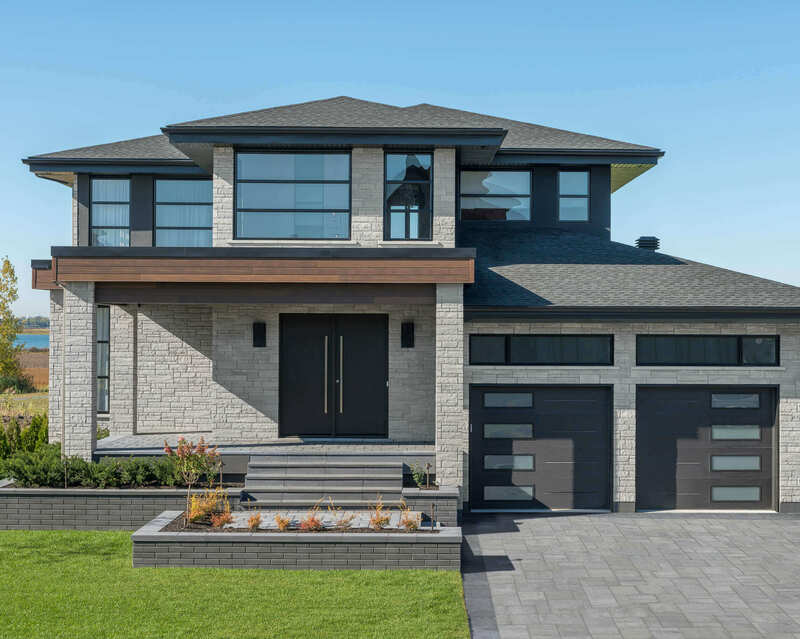 There are so many possibilities, all you have to do is reflect on the elements that are important to you, and that will allow you to cook, dine and entertain outside with the utmost simplicity! 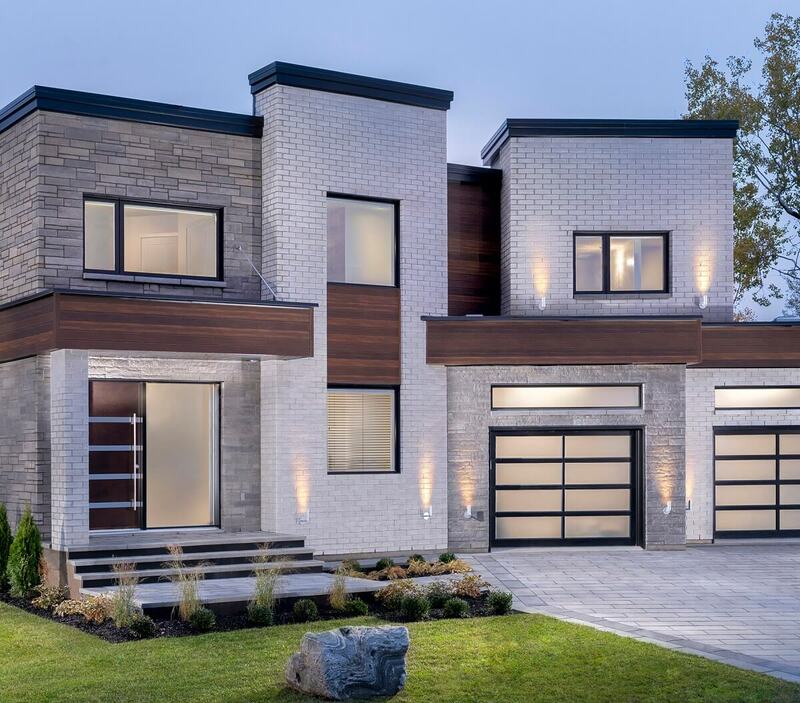 Not sure which pavers and walls to use? 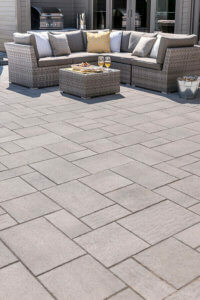 Check out our post on how to choose the right interlock pavers for your home. 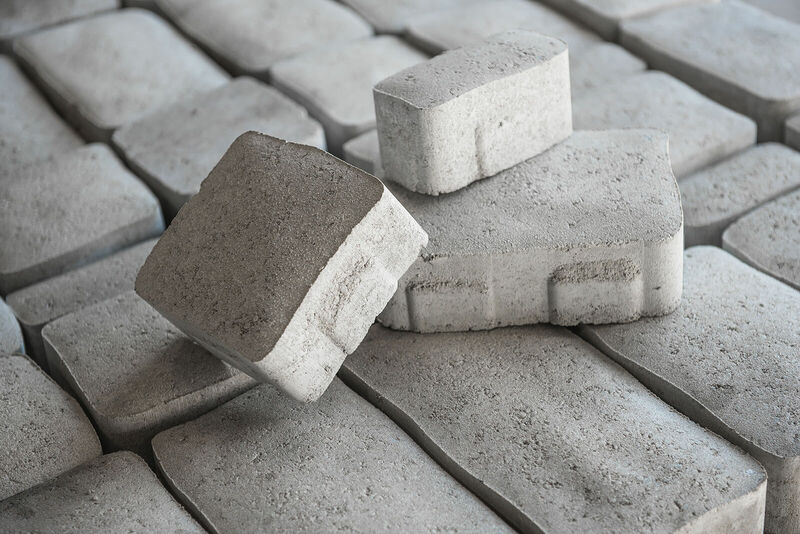 Silver White, the color to choose for your 2019 project! How to choose your mason?